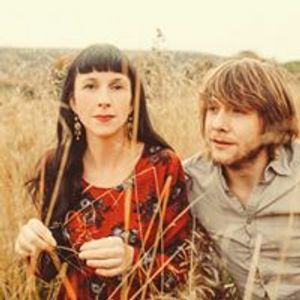 A chance meeting at their local Black Fen Folk Club in Cambridge uncovered Hannah and Ben's shared musical passions and sympathies, that over time has developed into a unique and intimate show of American roots and English folk music. Huddled round a single microphone, singing intimate duets with just mountain dulcimer, dobro and guitar Hannah Sanders and Ben Savage are a folk duo that look and sound classically timeless, yet feel refreshingly unique. Fleetingly, they may evoke a memory of Gram and Emmylou, Shirley and Davey, or Gillian and David but their warm distilling of influences from both sides of the Atlantic produces a refined sound that is decidedly their own.